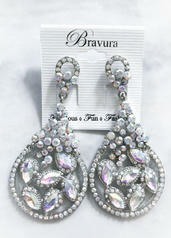 Perfect pageant earring! The Brittany earring features so much sparkle and shine! It reflects all of the lighting around it!